Omnience (formerly Meeting Consultants) is a leader in marketing event management solutions. The Atlanta-based agency is full-service, providing meeting logistics, registration management, housing and room block management, exhibit and event management, lead tracking, event analysis and surveys. Omnience drives revenue and controls costs for Fortune 500 companies worldwide. Omnience offerings encompass a range of tools and expert services designed to deliver key information to executives across a global event portfolio. 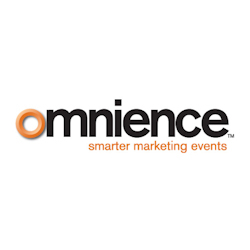 Omnience can help measure and track marketing event ROI. Ontrac Attendee Engagement is a modular platform with powerful audience insights capabilities. Define which actionable information you want to capture about your event audience, then select parameters and let Ontrac Agenda Builder, Ontrac Mobile and Ontrac Analytics help you meet your goals. Sales and marketing won't lose the momentum of a qualified lead when feedback is captured and analyzed during the event.